This I would pronounce "hell and back". 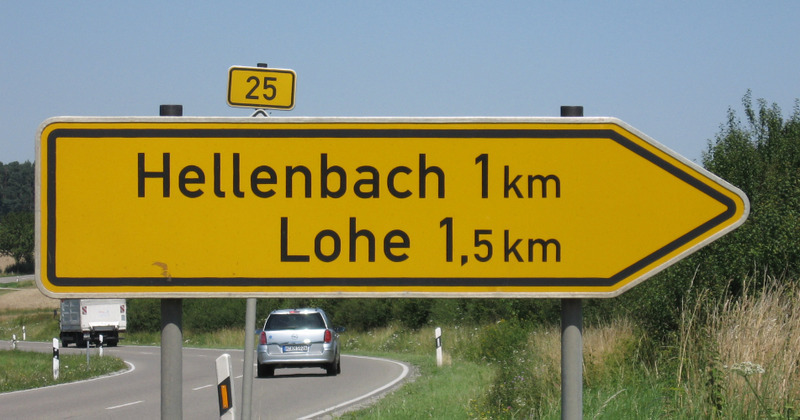 We were travelling through Germany last summer when I saw this sign. With a name like that, I couldn't resist. 1km later we drove through a tiny town and now having the privilege of saying we've been to, well, you know. This is another one that would make a good t-shirt. See the big picture and this one.